Redeem your rewards for real cash and prizes. 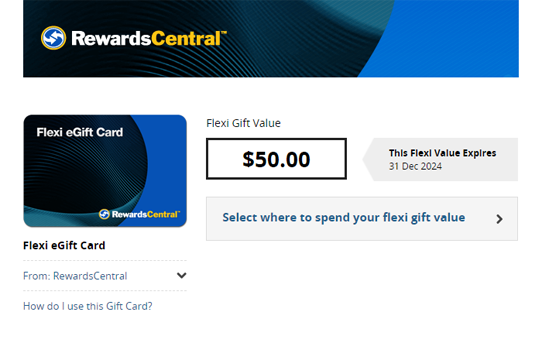 Cash out instantly, and receive a Flexi eGift Card delivered via email. Choose to spend your rewards at Myer, David Jones, Kmart, Domino's Pizza, Event Cinemas and more. Redeem your rewards for real cash, directly deposited into your bank account. But first, you need to accumulate at least 3,800 points. If you're feeling generous, you can help out a good cause by donating your rewards to charity.